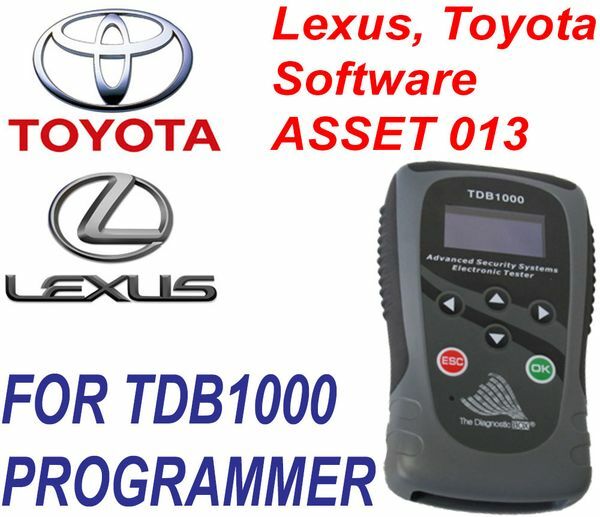 TDB1000 - Advanced Security Systems Electronic Programmer Tester "The ASSET"
LEXUS and TOYOTA Software ASSET 013 - Key & Proximity Programming for TDB1000 - The Diagnostic Box. Software only, there is no hardware included. You must have TDB1000 - The Diagnostic Box in order to use. Once you purchase the software it will be automatically loaded onto your machine within a couple of days. Please include the serial number of your TDB1000 in comments during checkout. This information is required to update your machine with the new software.